Support the Park with a Gift today! All new memberships through May 1 will be 2X matched by longtime Park supporters, Steve and Nancy Kidwell. That’s DOUBLE the impact. Go to our membership page to join → Join today! The Tower Grove Park Foundation, a Missouri nonprofit corporation, was established in 1998 for the sole benefit of, and to carry out the mission of Tower Grove Park. The Foundation does not own any real property nor conduct any activities other than those that support and promote the Park. All income to the Tower Grove Park Foundation comes from private sources (memberships, general contributions, special events, and endowment interest). The Tower Grove Park Foundation is governed by a designated member of the Board of Commissioners. 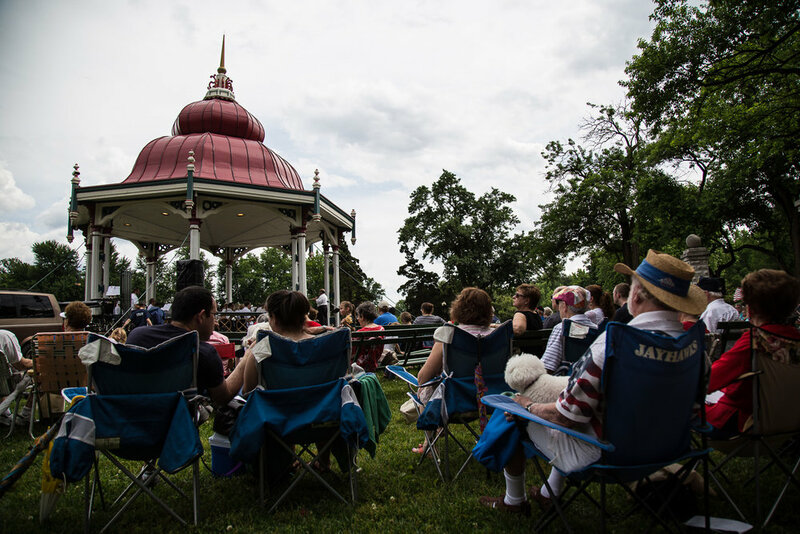 Your tax-deductible contribution supports keeping Tower Grove Park beautiful year-round. Monthly giving is the easiest, most effective way to support our mission. Click “Make My Gift Recurring” or call (314) 771-4435 to become a sustaining donor. Your generous investment in Tower Grove Park will support our community and conservation efforts. Many employers offer corporate matching gift programs that match employee charitable contributions. Your gift could double! Contact your Human Resources department to see if they offer this generous and powerful benefit. Did you know that people 70.5 and older can make direct transfers from individual retirement accounts without having to count the transfers as income for federal tax purposes? If you or a loved one qualify, contact our Director of Development at (314) 771-4484 or dlauber@towergrovepark.org.